Australian author Felicity McLean’s forthcoming debut novel The Van Apfel Girls are Gone (HarperCollins, April 2019) has been sold in four territories, including to Algonquin Books in North America and to One World’s literary crime imprint, Point Blank, in the UK. Tara Wynne at Curtis Brown Australia sold ANZ rights to The Van Apfel Girls are Gone, originally written as a novella, to HarperCollins publisher Catherine Milne last year in a preempt. Wynne subsequently sold North American rights to the full-length novel to Algonquin via Katelyn Detweiler at Jill Grinberg Literary Management. Cathryn Summerhayes at Curtis Brown UK sold UK (ex ANZ) rights to Point Blank. French and Spanish rights have also been sold by Kate Cooper at Curtis Brown UK, with more territories expected to follow. Set 20 years ago in a remote Australian town, The Van Apfel Girls Are Gone is a part-mystery, part-coming of age novel focused on the unsolved mystery of three local sisters who disappeared into the wilderness. Algonquin Books editorial director Betsy Gleick called it an ‘exciting debut’. ‘Felicity has created a mesmerising, page-turning story of adolescence and danger, secrets and responsibility—a story steeped in a particular time and place but with universal appeal,’ said Gleick. HarperCollins head of fiction Catherine Milne said she was ‘so thrilled’ that rights to the ‘much-loved in-house favourite’ had sold internationally. McLean has worked as a journalist, and is the author of picture book This Is A Book! (no wifi needed) (Piccolo Nero) and has ghostwritten and co-written a number of adult titles. 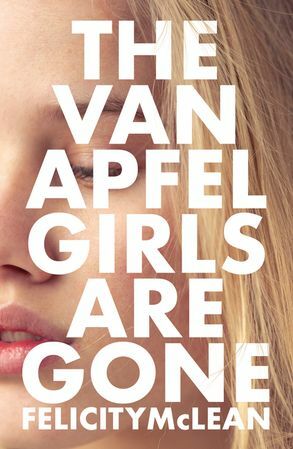 The Van Apfel Girls are Gone is scheduled for release in April 2019 in ANZ, and June 2019 in the US and UK.